Pest UK / Pests / Traps or Baits – What’s More Effective? Traps or Baits – What’s More Effective? All these options are available for purchase in shops and online and while you may catch one or possibly a few rodents these traps are only suitable as a stop gap. If traps are not placed directly then the problem will persist and sometimes the poison you yourself can buy is not always effective and mice can be immune and just consume it. At PESTUK we always recommend that a professional company chosen from the list of local BPCA members is used to ensure your rodent problem is dealt with correctly. 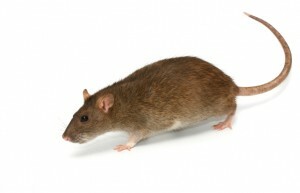 As full members of the BPCA, the governing body for pest control companies, we are fully insured and trained to deal with rodents in your property or business. Our technicians take yearly top up exams and courses to stay up to date with the best methods and solutions to all pest problems. Upon visiting your premises our technician will check the inside and outside your home for any entry points and possible food sources. The technician will also check for any nesting areas where the rodents are living and breeding. Poison baits will be placed in strategic areas to ensure that they are ingested y as many rodents as possible to deal with the problem. The baits we use are anticoagulants and while this is stronger than what can bought from a shop is at a lower dosage to ensure a full take by the rodents present. Rats have neophobia and will avoid new items in there environment for a few days before generally weaker, less dominant members will take the bait. If the bait was at full strength the baits would only kill a couple of rodents and the others would associate the baits with death and avoid them.